I save everything. Well, everything with sentimental value, which is a lot. Because of that, I’m always looking for new ways to store or display my stored items. I got the idea for this memory box on pinterest, and I think the result was pretty cute. It’s my Admit One box. I’ve held onto many of the tickets for shows, movies, concerts, exhibits, etc. that Dan and I have seen. Until now, they’ve been strewn around the house on my nightstand, in a pile on a table, or sometimes in a photo album. To make this, I started by gathering up all the stubs I could find. I’m sure in the coming weeks, I’ll find more to add. Next, I took a trip to Michael’s. I was in luck. All shadowboxes were half off, and then I had a coupon for another 25%. I decided to go with a black shadowbox with a black backing. 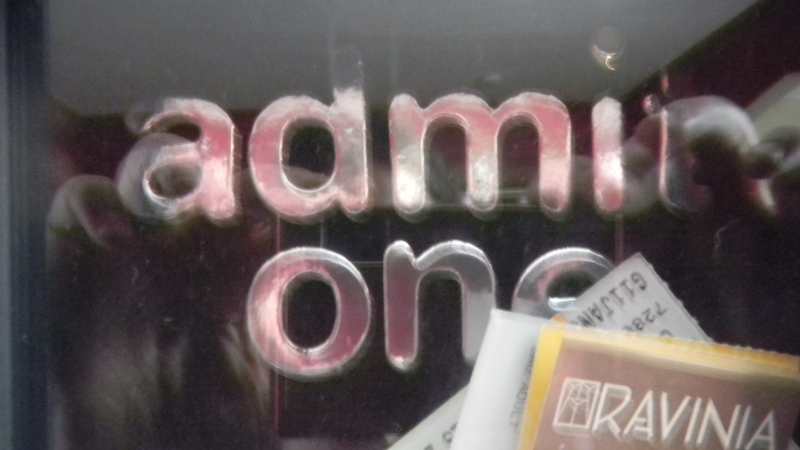 I wanted the highlight the tickets, not focus on the background of the frame. I had some shiny silver foil letters, and I thought they would look nice with the black. I centered the letters and stuck them on to the back of the frame. 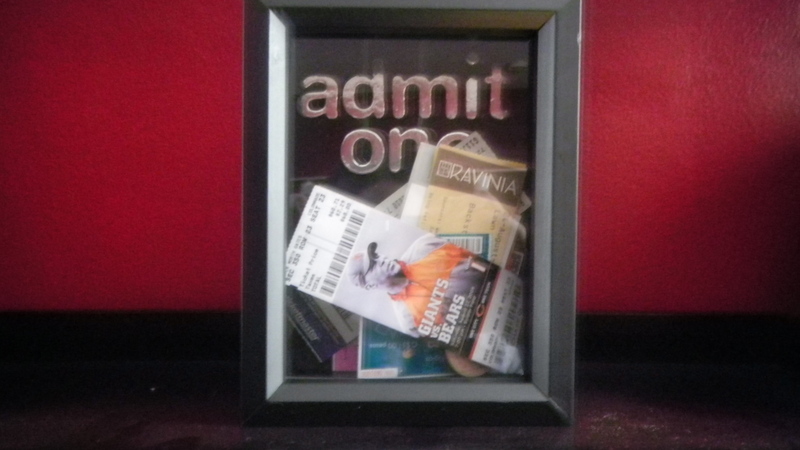 Then, I just dropped the stubs into the shadowbox. I shook the frame a bit, until the tickets were in a configuration I liked, and I popped the back piece back on. 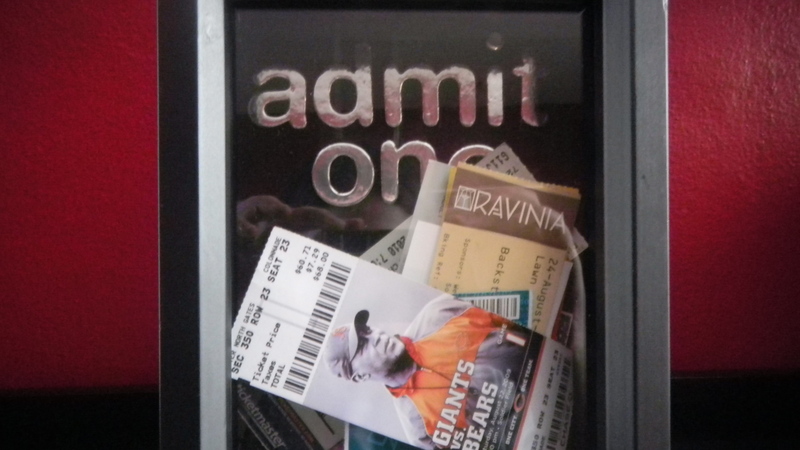 Easy to make, and definitely great in helping to reduce ticket stub clutter around the house. Plus, it’s a fun walk down memory lane every time you walk by it.